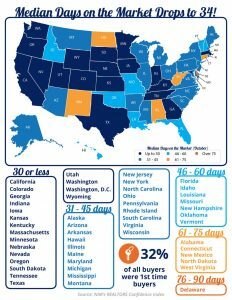 Did you know that the median days on market to get your home SOLD is only 34 days nationwide? Check out this infograph to see where your state lands! Click the link for a complimentary valuation on your property or call me …. I’d love to help!